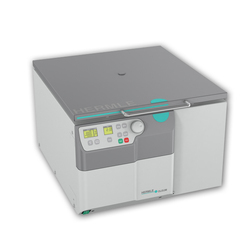 The Hermle series of high capacity/high performance centrifuges represents one of the best value purchases for your lab. German designed and ruggedly built, these machines have been a staple for over sixty-years. Available with and without refrigeration, and configurable with a catalog of 33 different rotor options. Seasonal bundle packages from the manufacturer offer additional savings on the most popular units. 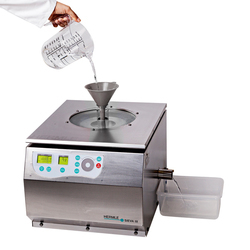 Purchasing a centrifuge for your lab is perhaps one of the most complex among general equipment needs. With so many options that can impact price, having a knowledgeable expert to speak with can save you time, money and frustration. There can be "too much machine" when it comes to a lab centrifuge. Take a few minutes to visit the newly designed Hermle USA website for additional information and then give us a call to discuss your centrifuge needs. Call us now at 410-764-2225 and we will work with you to create the right package at the right price.